One of the most prized of trophies in sport fishing is the Bluefin Tuna. This species has many of the features that appeal to sport fishing enthusiasts, like size, strength, quality of fight, and rarity. It is getting harder to find and catch these fish as they are highly desired and have been over-fished by commercial operations for decades. 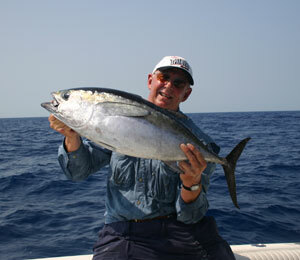 Connecting with a good deep sea fishing Bahamas charter and experienced guide is the best way to find and catch them. 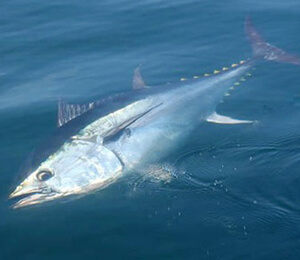 The Bluefin is the largest of all tuna and has unique characteristics. It is the only warm-blooded tuna, which means it must consume a large amount of food to survive in cold ocean waters. They also are known to swim for thousands of miles, sometimes crossing the ocean multiple times each year. This only increases their nutritional requirements, which can work into anglers favor. Knowing where to find the big fish and tempting them with the right bait is the key to a successful catch. For those who are considering deep sea fishing Bahamas offers excellent access to western Atlantic migration routes. These fish have become harder to find and more elusive due to their drastically reduced numbers, but also because of their natural speed. Bluefin Tuna have been observed swimming more than forty miles per hour. Considering the distances they travel for feeding and spawning, it is necessary for their survival to be able to move fast. The tuna have a different physiology from other fish as they do not use their whole bodies when swimming. They have an interesting set of muscles and tendons that control their tail fins and make it possible to reach amazing speed. The awesome power and of these fish means anglers have to be ready and react quickly if they get one on the line. Those who actually hook one of these fish will have a long fight and an amazing trophy, if they can get it in the boat. Since most of these fish are over six feet in length and five hundred pounds, they represent a substantial challenge. The largest of these fish ever caught weighed nearly 1,500 pounds and was in the cold water off the coast of Nova Scotia. They are aggressively migratory, but this can help predict where they might be found. A variety of tactics can be used when fishing for Bluefin as they are carnivorous and have a huge appetite. They expend a lot of energy during their travels and must gorge when possible. They are known to feed on fish near the surface as well as fish that are in deeper water. Small fish, like sardines and mackerel, and crustaceans seem to be their favorite food. 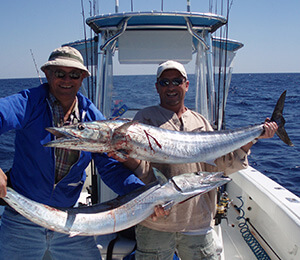 When it comes to deep sea fishing Bahamas are an excellent place to organize a charter. It is possible to organize a charter in search of the Bluefin. They can be found in the nearby waters from March to October, but they are more likely to be found from April to July, and are most common during May. Bluefin Tuna are prized for their tender and flavorful meat and is considered a rare delicacy in Japanese sushi. A single 500 pound fish can be sold for hundreds of thousands of dollars in Japanese auctions. This makes them an incredibly valuable resource and competition among commercial fisheries can be intense.